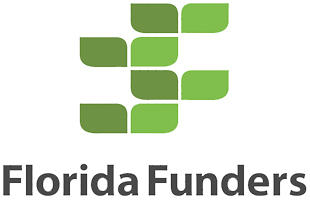 Tampa, Fla. – June 11, 2018 – Florida Funders, a firm providing early-stage capital to Florida technology companies, announces a joint venture with the Florida-Israel Business Accelerator (FIBA) to host and assist in their crowdfunded investments on the Florida Funders platform. Florida Funders’ distinct platform will be utilized to promote investment opportunities with companies participating in the FIBA program, which is a Florida-based technology accelerator designed to support Israeli growth-stage companies entrance in the U.S. market. FIBA is a project of the Tampa JCCs and Federation. The partnership between Florida Funders and FIBA will debut at the second annual Innovation Fusion, presented by Valley National Bank, and showcasing eight Israeli startup companies to the Tampa Bay area. The 2018 Innovation Fusion will highlight FIBA’s role in enabling partnerships and collaboration between Israeli tech companies and local organizations, including Florida Funders, with the goal of bringing additional technology jobs and economic growth to the Tampa Bay area. The Innovation Fusion startups, including eProc Solutions, ECOncrete, Nucleon, UC-Care, GlobeKeeper, Interyvo, Say and WiseShelf, will be joined by two guest speakers from Israeli tech ‘unicorns’, Waze and Wix. Waze is a GPS navigation app developed by an Israeli startup that was acquired by Google for $1.3 billion in 2013. Wix is a website development platform for small businesses. Wix was also founded in Israel in 2006 and today has 120 million users worldwide. Wix is traded on the NASDAQ and has offices in San Francisco and Miami. Aron Di Castro, Head of Global Business Development and Partnership for Waze, a Google Company, will be joined by Danny Brigido, Director of Consumer Solutions for Wix, to share their knowledge with the Innovation Fusion participants. To attend the Innovation Fusion, please register online at http://www.fiba.io/events/innovation-fusion/. For more info visit www.floridafunders.com.